With only 10 weeks (that's a guess, I seriously lose track a few days after my doctor reminds me) left of my pregnancy, I've finally decided to start sharing some preggo outfit inspiration! 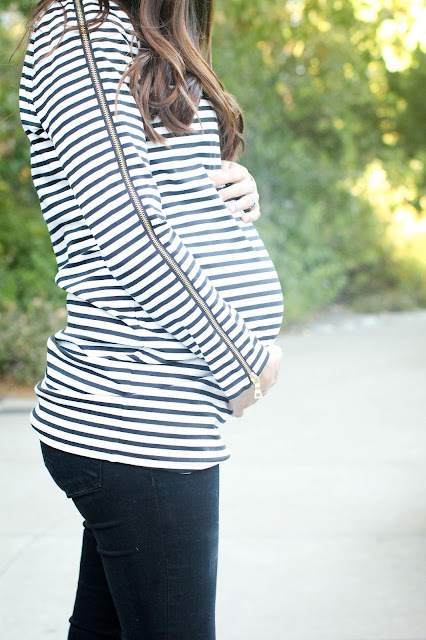 I've had so much fun dressing my bump and have loved finding ways to stay true to my style while remaining comfortable at the same time. Pregnancy can be so hard on your self-esteem, so for me it has been super important that I take advantage of the one thing about my body I can really control...how I dress it!